The mention of The Entertainer app had been buzzing around my ears recently. Friends and families were discussing and raving about it. I'm usually the last in the race to hop onto the newest or hippest stuff in town. Stay home Mums are rather different. This apps had enlightened me and I'm convinced of its formidable power on dollar savings for any food adventurer. Even if you're not, you will get embarked.... soon! Reason being, one or two usages of the redemption would have breakeven the cost (Now: $60. Usual price: $75). It's also the best time to venture into restaurants you rarely walk into. 80% of redemption is on food. The rest goes to leisure, lifestyle and travel. Even more well worth if you use it frequently. The Entertainer offers more than 800, buy one get one free offers for our local restaurants, bars, informal dining, spas, activities, attractions and more. There's also travel offers which features over 250 free night offers at leading hotels across Asia and beyond. Great for any travel lovers! All you need to do is simply download The Entertainer apps, make payment and you'll get access to the extensive restaurants listed in there. It's easy and friendly to navigate. These paperless 'vouchers' are stored conveniently in the apps, all you need to bring for dine out is your phone. I love how technology has shaped us to travel light and bid farewell to my often neglected paper coupons. Just this night, we had a wonderful feast at Lime Deli, one of the restaurants found in the apps' list. 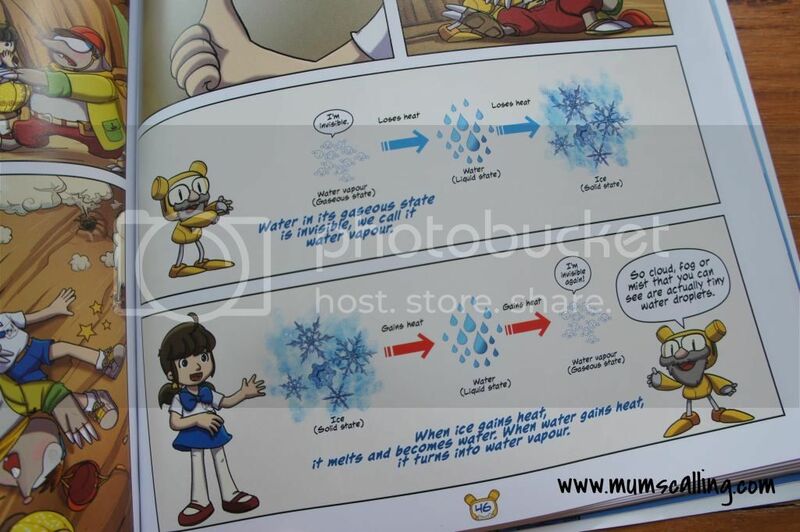 So here's an example of how The Entertainer works. You may search for a list of restaurants within the vicinity you're in and tap in the one you decide to set foot in. Redeem it with your self created pin, hand your apps to the merchant staff to key in another set of pin at their end. Redeem and make payment. It's all easy peasy, lemon squeezy. You would have probably realized each merchant allows only up to 3 redemption. After which, it's a good hint to explore some other merchants. You can also tell that the best time to get the apps is none other than now! That's because all redemption expires on 31 Dec 15. Merchant dependent, some has got 1 for 1 for mains and some are 1 for 1 for buffets. There are also some other leisure attractions like Adventure cove, Dolphin Island and even play gyms for our little ones. Mostly at 1 for 1 purchase. On the merchants listed, it's definitely no nonsense. At least for the one we tried today. It was our first time stepping foot into Lime Deli and it got us all spiced up with its Caribbean food. We set foot in Jamaica once, and somehow the food was kind of familiar tasting, which in my opinion is very much skewed towards Indian cuisine. It was kind of dejavu when we tasted it today. Much catered to local liking, fusion, exqusite and extremely flavourful. We were very well hosted with the delicacies and here are some dishes to tantalize your taste bud. Not in picture, we have 2 favourites from today's dishes. Goat curry and chicken curry! Thumbs up from both my man and myself. All sooo good! There are also 2 things I need to cue you on, when you step into Lime Deli. One, try their rum punch though you might get tipsy from that tinge of alcohol. Two, try their Caribbean hot pepper sauce. You might burn, but it's worth that experience! After this exotic meal, I felt like I've just caved out from my comfort food zone. There's so much more to food! This is definitely a different genre of food and taste. Get your apps and have a go! We would definitely be exploring more merchants listed on the apps. Will share our fun and experience over at Instagram. 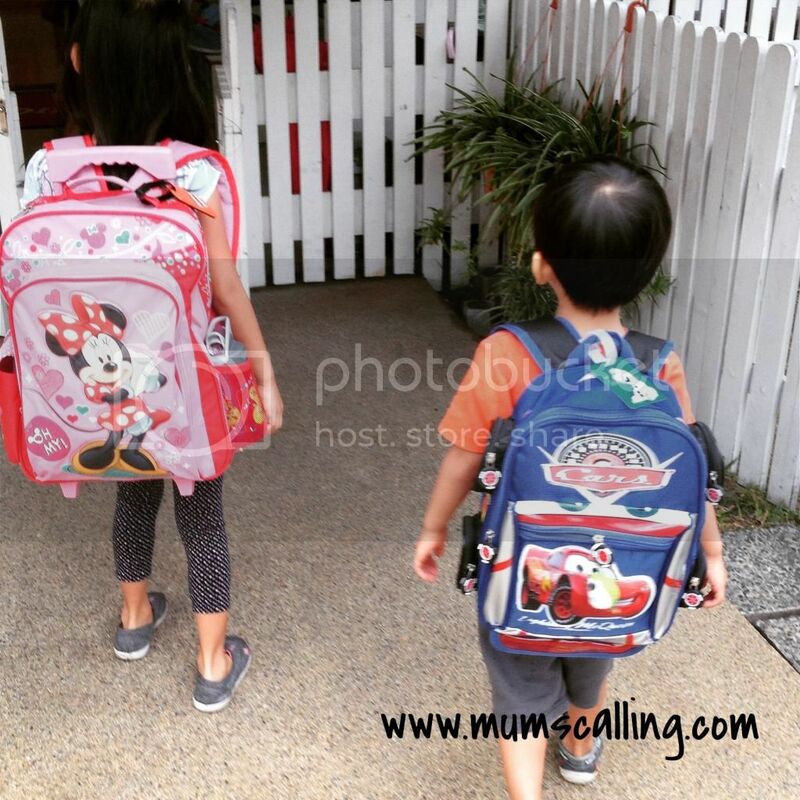 If you've not been following, we're @mumscalling. You may also find out more on the apps and other merchants at alvinology.com. If you got tempted, shaken and blown off, download The Entertainer now. Key in discount code, 2015ALVIN for a 10% off the purchase price till 28 Feb 15. Few more days to enjoy that whopping deal of $54. Have fun! This might be helpful in your purchasing decision too. A list of local's featured merchants. Disclaimer: We were invited to a tasting session at Lime Deli, and given The Entertainer app for the purpose of this review. All opinions and photos are solely ours. And so we found a place to party, I needn't worry about food and entertainment. I just needed to focus on the other fun characters to make up the oomph! We did our own pinata! I contemplated and decided we should never pay for a pinata, unless that's a quick solution for the lack of time. The fate of a pinata is fairly short and rather tragic, especially the ones that we brutally whack open with a stick. Since it doesn't last and what mattered more was the fillings, I anyhow-ly made our own pull string pinata. Tender age, tender game. No whacking this time. 1. Take a rectangular box. 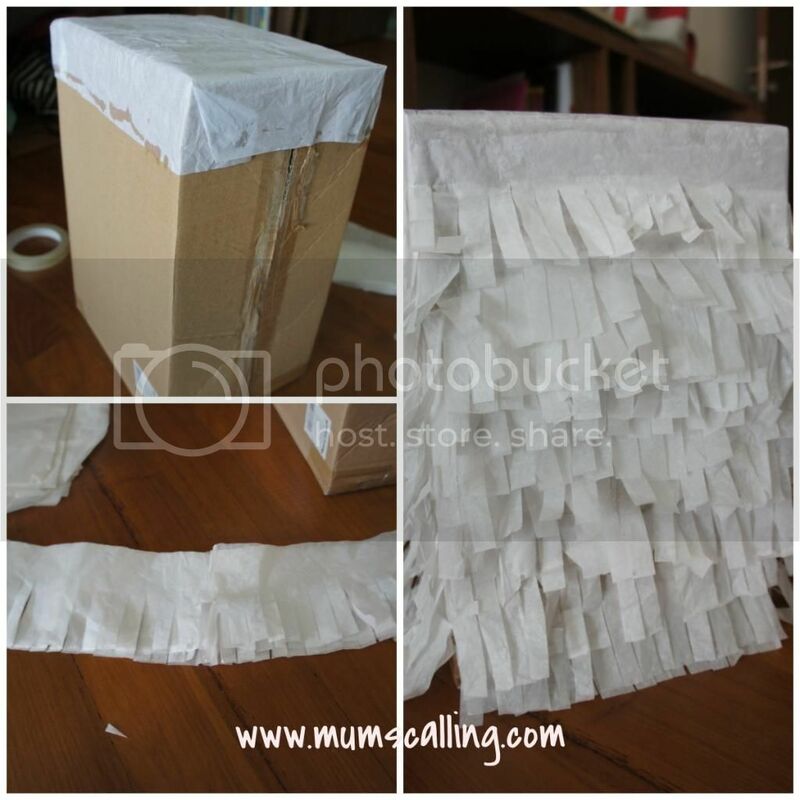 Any small size box you think is of good fit for a pinata. 2. Wrap its bareness with wrapping tissues. We used white as we've plenty of it. 3. You may create some texture/design by cutting patterns on the wrapping tissues. I cut strips and pasted it all around the box. Normal glue is good enough. 4. You could punch in 2 holes at the top of the box for holding purpose. We forgot this step, and did it only at the last. 5. Cut a square opening at the bottom, with one side still attached to the box. Opening size depends on your fillers. 6. Punch a string through the flap, somewhere nearer to the easy opening side. Loop it round, as shown in bottom left picture. Secure it! That's the winning string. 7. Next, we'll just need to put in the strings of false hope. We simply used tape to secure and was rather gentle in transporting it. Number of false pull strings depends on the number of kids playing (Got these strings from Diaso). 8. Conceal (Bottom right picture)! Just so no little cheekies would peep under for any clues. 9. The exciting part now - Put in the fillers! A bunch of our favourite snacks were threw in with some party clappers too. 10. Decorate and paste on some printouts of the party theme. It's ready for play! There are two ways to play this DIY pinata. One, each kid may take a turn by pulling one string at a time. Two, each kid holds onto a string and all kids pull at the count of 3! The latter ensures every child gets a chance. So yeap, that's our simple DIY pinata. However, I need to confess that it wasn't as successful because the goodies weight dangling from the holding string proved it too heavy for it to bear. Delicious yummies comes with weight, I guess. 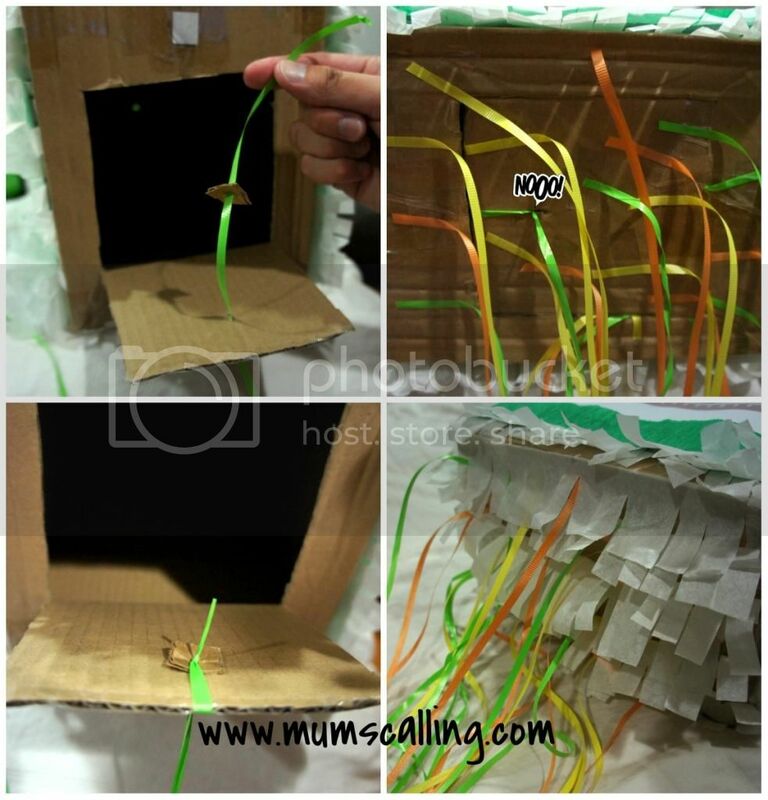 It gave way and the box fell part from the holding string when the kids pulled. Nonetheless, the game hosts were quick to redeem our pinata by quickly picking the box and pouring out the fillers! It excited the kids still. I love pinata for the expressions we'll exchange to see on the kids' faces. Too cute! Pinata aren't selling cheap locally. If you have time, it is sure easy to DIY one. Just ensure that the goals of opening it up and exciting the kids are met. There isn't much effort of excellence in the crafting of it because it's of rough handling anyway. As part of the excitement factor, we also brought in a balloonist and an airbrush artist. 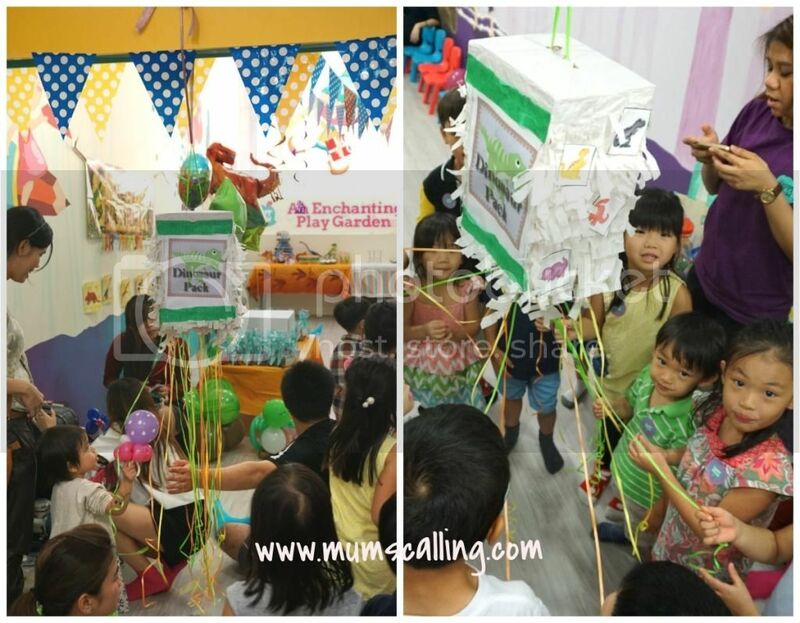 Balloon sculpturing is always an all time favourite among the kids! Airbrush artist was another wow factor to the party. Think cute temporary tattoos. 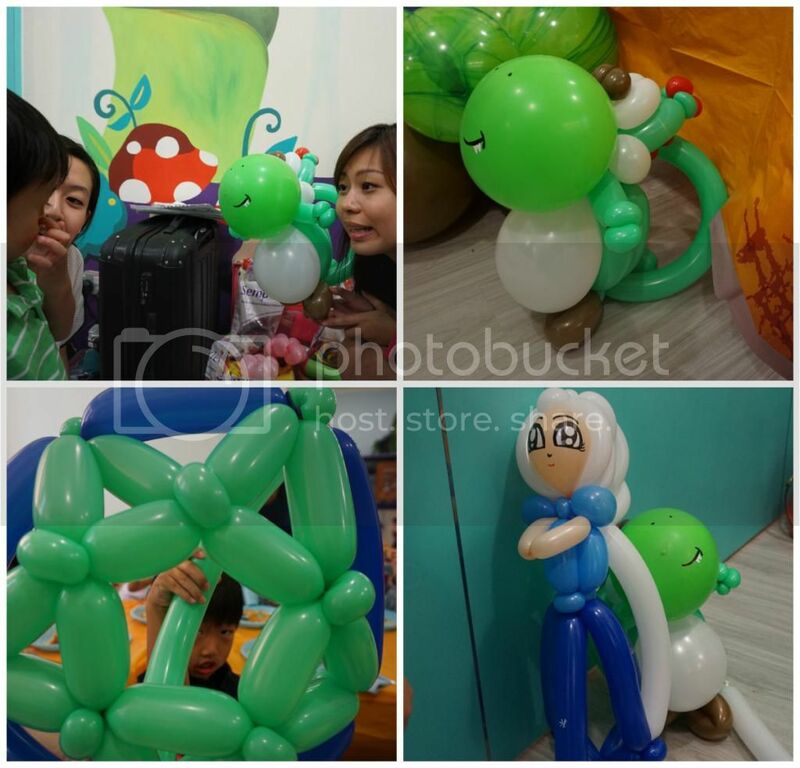 Jasmin from sgballoons has got amazing twisting skills. You name it, she sculpts it! Did you see Elsa?!! That melted the hearts of many sweeties. She also asked our birthday boy if he would love a dinosaur balloon, as to the theme. Jare took on the offer and was soooo pleased with his airy and chubby dinosaur! She's very good with children and does very beautiful balloon arches too! I wished we had one. 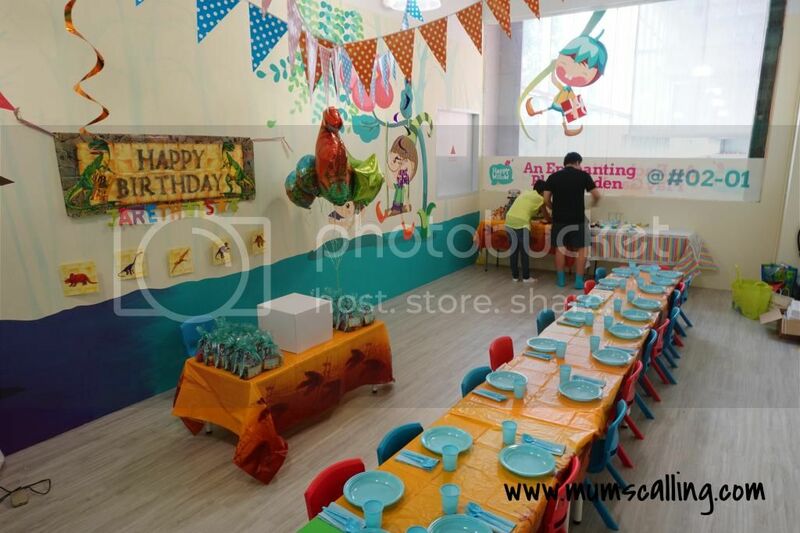 To add onto the party atmosphere, we had Nicole from Sgairbrush services. She did tattoos for the little kids that day, and I did one too. It lasted for some days on my arm. There were a good variety of stencils ranging from heroes to princesses! 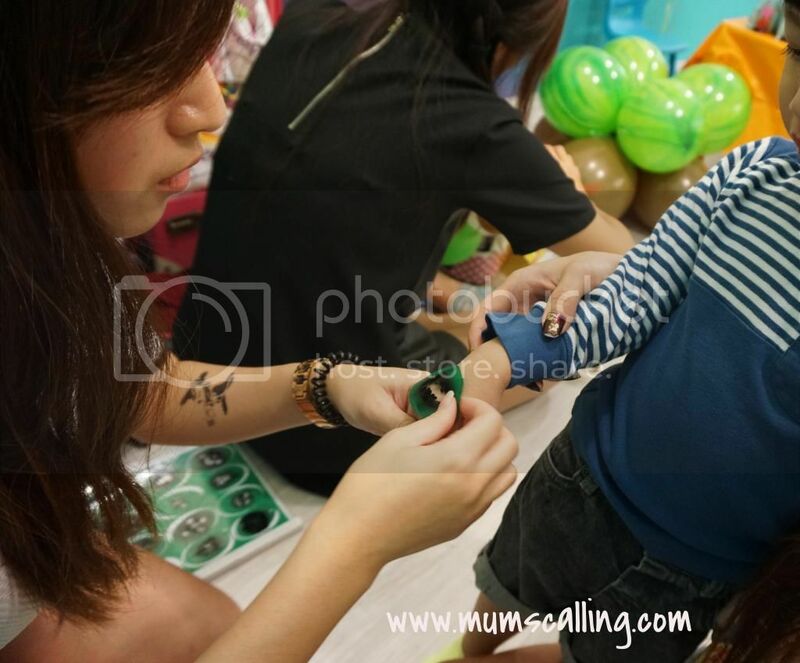 She was extremely patient and good with the kids while they excitedly chose their favourite characters to get it painlessly tattooed on. Parental approved too! 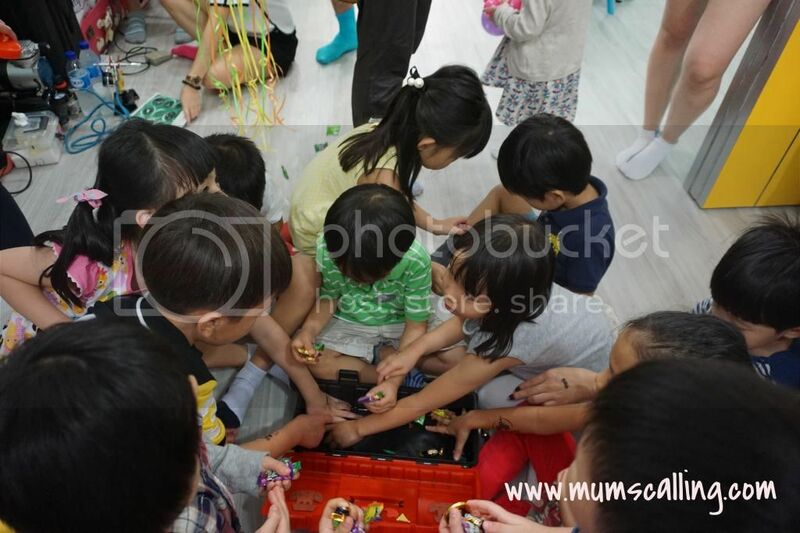 Lastly, not to forget about preparing a goodbye prop and thankful gesture for our little friends who took time to stomp by the party for celebration. A goodie bag! It was with much thoughts that I decided to plant in a little indoor plant with a dinosaur figurine. Somehow dinosaurs always give me a forestry feel, and that's how the idea came about. 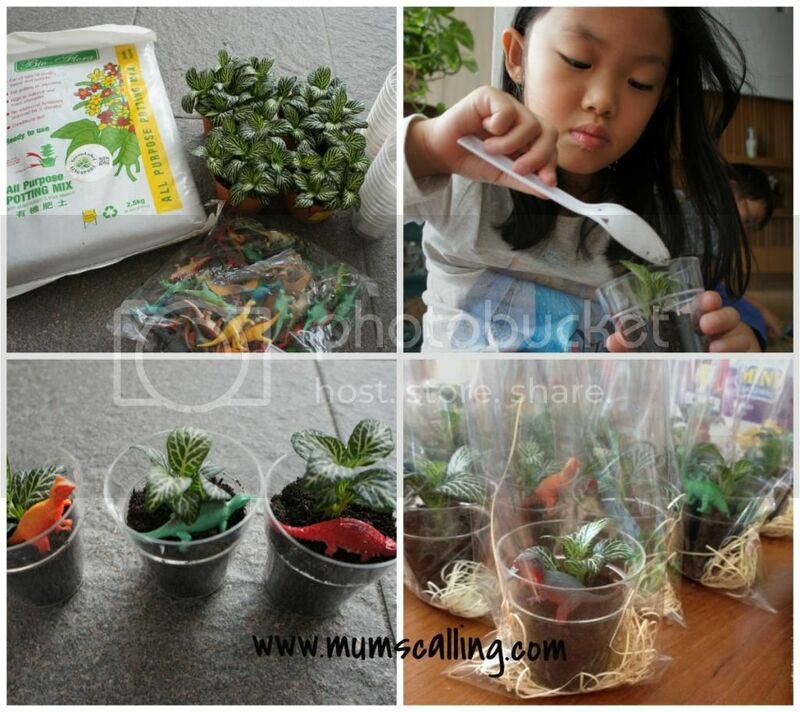 For the little green fingers! I do hope they are well taken care of by those sprouting green fingers. In anticipation that the plant might not excite some kids, I've included some snacks and little toys in the goodie bags. It should make all kids happy this way. Thank you for coming by, friends! We gotten these plants and potting mix soil from one of the nurseries along Thomson. Didn't take note of its name, but was the first nursery from where you drive in. I uprooted and planted the big bunches into smaller plastic pots and topped off with a dinosaur figurine. All looked too pleasing. Small pots and dinosaurs are bought from Oriental trading, my favourite source for party supplies from an overseas website. Indoor plants are not just good for those little eyes, they are also easy to maintain with minimal water and some dose of fluorescent light or sunlight. These indoor plants called, Fittonia are perfect for little caretakers. So yeap, that's our fun and not too exhaustive planning behind the scene. Balloonist and airbrush artist were kindly sponsored and we are very thankful for their time and services in making this party extremely memorable. Thank you, ladies! It was a well rested long weekend for us. Eat, play and sleep. Nothing gets better than these. Happy Lunar New Year, everyone! In midst of nearing Lunar New Year, Jare celebrated an important milestone. He turned 4 on the 17th. Yes, fantastic 4! Of late, I will never forget that he popped on the 15th day of Lunar New Year 4 years ago. He was a racer to collect red packets! Time flew, and as always, I thought I had just gave birth yesterday! I can't believe I'm starting to lose count on their ages already. While planning his milestone celebration, I knew he needed a party, but I had no idea where. I wanted an area for food and indoor play. 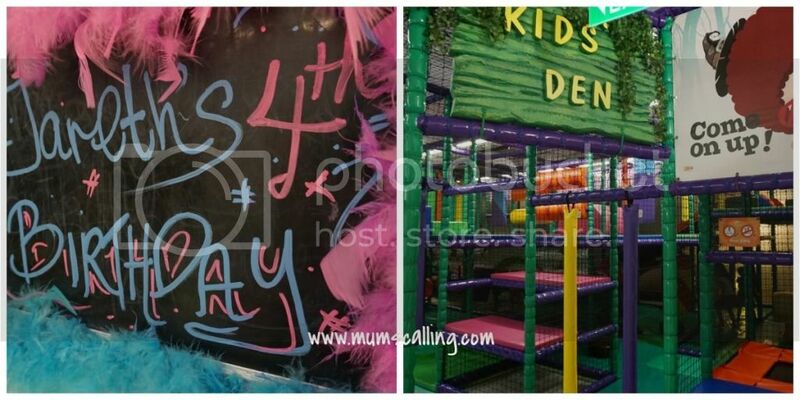 Options threw and eliminated, we settled with holding his little party at an indoor playground. Some search high and low, we settled with Happy willow, at one KM mall. It was much spacious than their branch at Fusionopolis. Love partying there for its flexibility and variety of packages. We could bring in our own food, decorations, balloonist, airbrush artist, DIY pinata and the most essential to me was, hosts were provided to take care of the kids' entertainment. And yes, I don't have to call on the gather for cake cutting session. Everything was well taken care of. We overran a little because there's no party lined behind us. No rush, no fuss. 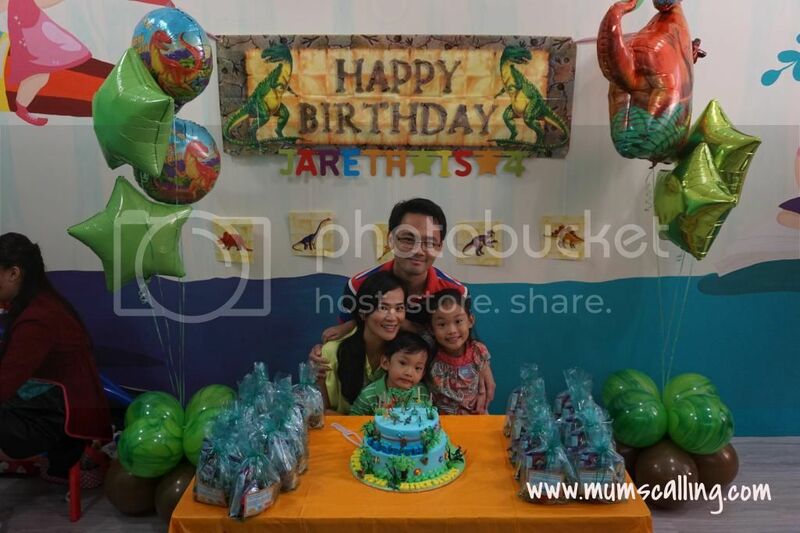 Jare asked for a dinosaur theme and I brought in some simple decorations and helium balloons. I felt even without decos, the place looked vibrant and lively as it was. Some balloons by the chairs might spice it up, but I guess they missed that out. The mega fun is over at the play area anyway. I had taken the food package for kids, and brought in some light snacks for the adults. We were a little delayed at the set up as the venue was still being cleaned and filled with guests from a private party held previously. Together with their staff, everything was well embellished within minutes. While we were hoping for the previous party crowd to swell off, their staff took initiative to reserve some tables for our guests. An applauding gesture, I thought. The happy thing at Happy willow is that Daddies and Mummies rest and relax, while kids run wild. Party games were well hosted and the kids had a go on their signature treasure hunt, which delighted most kids. It wasn't staged, but Jare found the treasure (of candies and clues to solving mysteries)! Toolbox treasure box. Sturdy enough! So yeap, we paid for a party package. Not sponsored. It's unusual that we spend some amount of money on birthday parties. In fact, our first time holding it at an indoor playground. It was justified because Js had been out of school for a long while. For the amount of school fees saved up, we could do a little more exciting party this year. It did look like every little one had a great time of exciting fun. And of course the birthday star had a blasting fun filled time too! He's very thankful for friends who made it to the party fun with him, and for their love and blessings. We do have some behind the scene planning. Coming up in the next post! Meanwhile, don't leave without joining this fun giveaway. 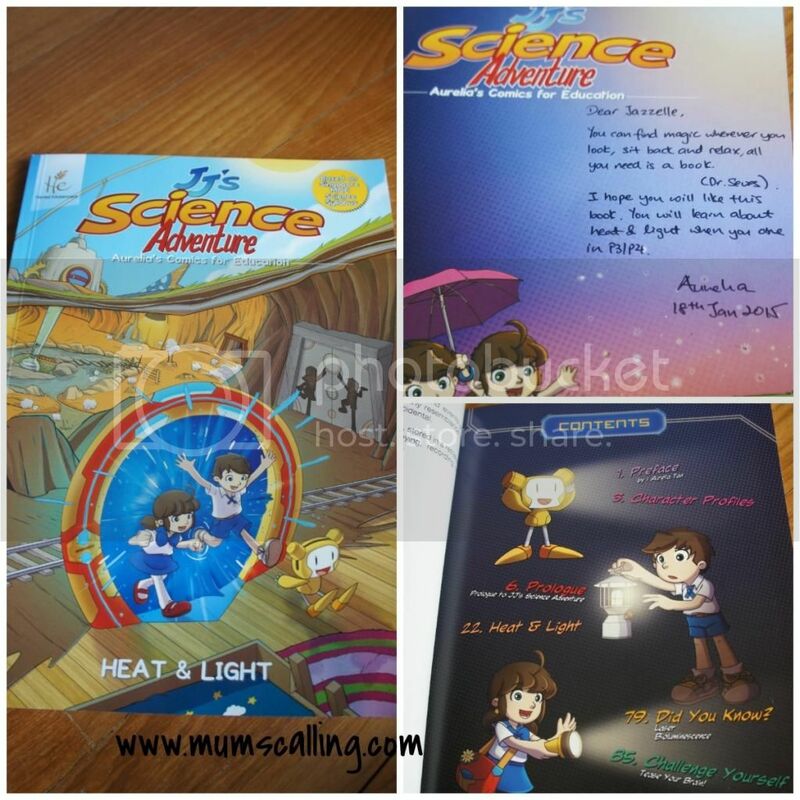 While corresponding with Happy willow, they agreed to spread more cheers by giving a one-time entry pass to 2 lucky readers of Mum's calling! Entry pass is good for weekday or weekend entry at any of their Happy Willow location, with 6 months validity. 3. 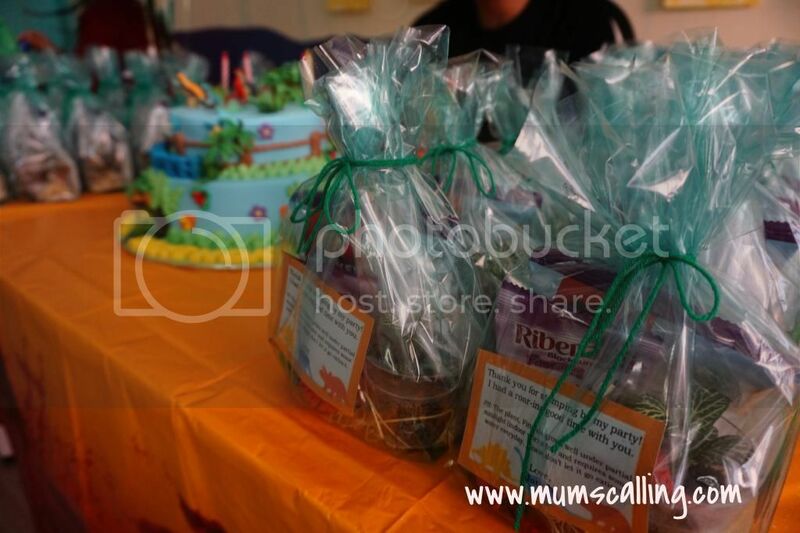 Leave your email on this facebook post and tell us how you celebrated your child's birthday. Tag 3 friends whom you think would be keen in playing or partying at Happy willow! And so love is smoking up in the air. While valentines day creeps in tomorrow, my better half and me have got nothing under our sleeves. As usual, we are not in the league of lavish gifts or costly ripped off meals. The union in us had blossomed into foursome. Valentines day is everyday, and that special day tomorrow is also a day with our littlest. Here's my love tribute to the kids! Sensibility: You have grown and shown us that you comprehend things better than before. You have learnt to take 'No' for an answer and you understand the rationale behind our decisions. Most times. Teach: You step in to teach and guide your little brother when I get exasperated with him. I love the moments when you ask him to question you anything he has on his mind. You have very witty and sometimes, interesting replies. Assurance: You always assure me that you love me. It didn't matter that I had been hard on you or that I lost my sanity on you. You never look back to recount the bad. You hug and kiss our bad moments away. Enthusiasm: Your enthusiasm and excitement in the smallest things spur me up. You show me that little things can be fun and exciting. I love the spirit of your child likeness. Love notes: You write us love notes and sometimes with accompanied drawings. Please keep this going! Silliness: It's funny how we laugh along with the silly things you do. Your unique head dance never fails to make us laugh. It's really entertaining. Promptness: I love the prompt initiative you take to apologize with that hug, when you quickly discovered you have done something wrong. But remember, let us simmer first. Cuddly: When I come by to kiss you in the morning, you would open those still half asleep eyes paired with a cheeky smile, grab onto my arm and say, "Sleep with me, Mummy" You are really nice to cuddle! Cheerfulness: I must have been always elated when you were in my womb. You laugh over every little thing and you rarely grump. Love that contagious cheer you carry around. Bold: You are bravely bold! With your bare hands, you would smack any insect in your way. Yet,the one that I detest, cockroach, you call it your friend?!! Amuse and impress! Js don't read my blog, obviously. Jazz knows its existence but she doesn't know what's going on in here. So I've sealed my kisses and love in letters, and hand mailed them into the mailbox. We don't really need stamps right? Happy valentines day! 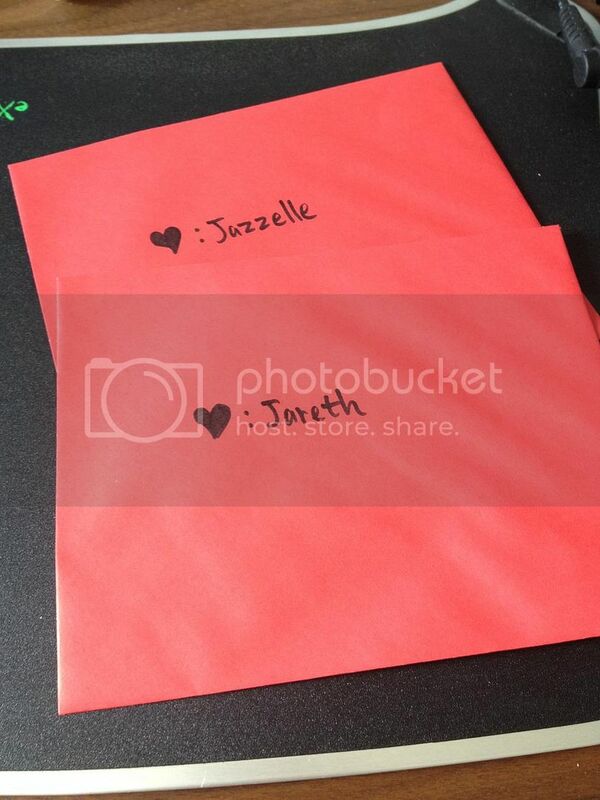 I love this day for an extra reason to mail them love letters. Dear kids, my love is always there for you, everyday and any moment. Same to you, my man. Yes, I've tribute 3 Favourite things to the man too. Mummy Angie had collage a wonderful tribute of the wifeys to their hubbies! Over at Life's Tiny Miracles. 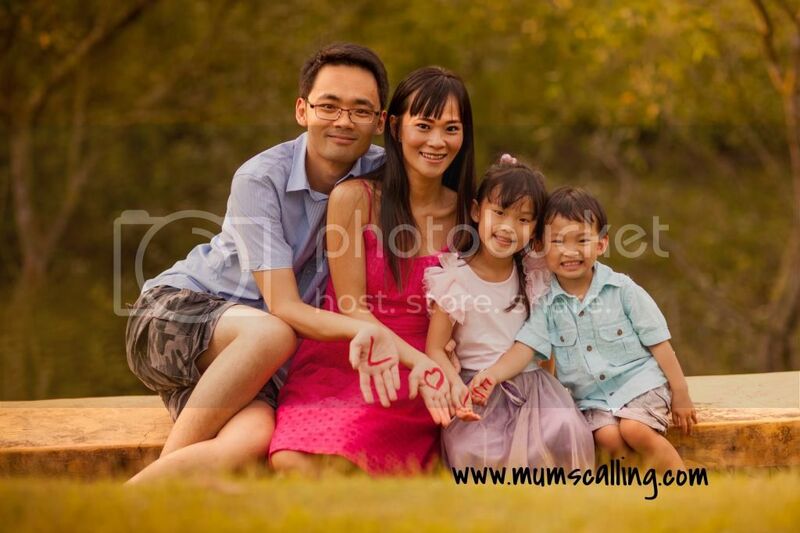 This is a page where you will want to nudge your hub, and go.... aww... wow, see her husband does this and that. Well.. ok, beauty and perfection lie in the eyes of the beholder. Contentment is the journey to that multitude of love. Have a blasting weekend filled with extra love! And so, the kids are into the second week of full day school. They seem to be taking it well except for some teary moments at different point of times. Jare was extremely clingy and wailed big time on his first day. The Motherly me started crying with him, I know it's silly. But we've been together 24/7 for the past 1.5 year. It's a gigantic leap for both of us! Today, he finally skips happily into class after days of cries. Jazz on the other hand is taking it slightly better, except for a slight moment yesterday when she stopped in midst of a game with tears welled up. She said she missed me. Aww... I hope she blends in with her teachers and friends really soon. While last week was an excited week for her. It was her first excursion to Chinatown with her teachers and friends. Yes, her first in 5 years. I was as excited as she was. She bought some stuff within her $5 budget, came home and brought us through her shopping journey. Before this whole new routine began, we shared expectations. They are gonna shower, nap and have lessons proper in school. It's totally strange when someone they first met starts them on a shower routine. Teachers and friends make up the bulk of their time and bond. We talk about them often, ask for names and throw a few names off to get them conversational. Avoid questions with "Yes" "No" replies. If they tell us more, we can talk more about fun in school. Something like, what toys do they have in school and which was their favourite. Jare was more of a challenge. He decided he wasn't going back to school after the first day, so I said, "How about wearing your transformers tee to school? I'm sure you're friends will love it too." He agreed! Jare has a comfort blanket. I told his teachers to whip that out if crying gets bad. I received feedback that it comforted and made him smile. So yes, comfort things! Get empathetic with them. It's new, it's strange and it's a whole new routine. I slip into their shoes and encourage them to express their thoughts and feelings openly. Pick them as promised. If you said early, before nap or after lunch. Honour it! We need to build firmer confident and trust in new environment. How about a little bribery for the initial days? I offered them candies for enjoying school. It's preschool, so let's emphasize, "School is play!" If all else fail after a month or 2 from the first entry day, talk to the teachers. We know our child best and what works. It looks like they're starting to believe school is play and an extremely fun place to be in! I had a little of separation anxiety when both Js went school full day. For the first few days, I picked them some hours earlier. 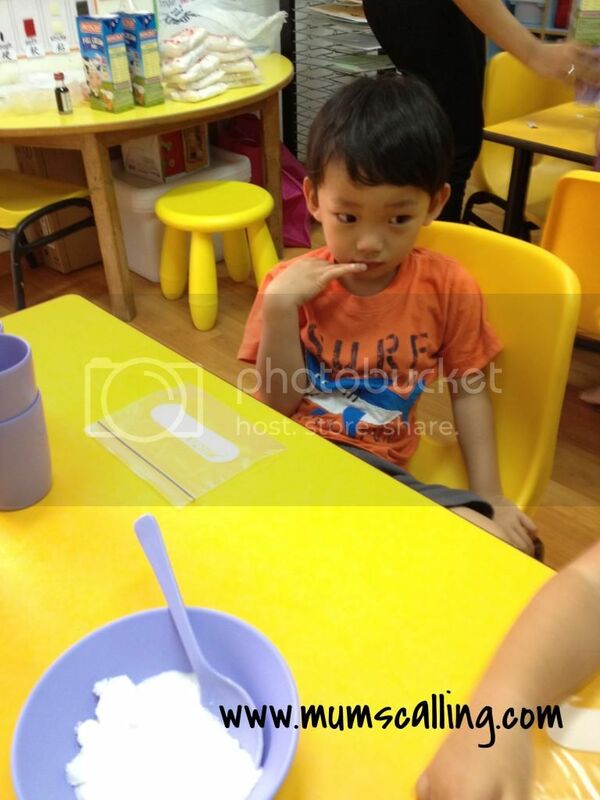 I also plonked in lunch date with a friend, where I started getting all emotional seeing other children with their mama at that time of the day. That was the kind of privilege I used to have. I can't believe I've moved on. I can't believe they have grown and attained this much of schooling independence from day 1 of infant care, with a long break and now back to school. Some days, I still think they are my babies. I pack and unpack their bags when they are all capable of doing most routines on their own. They remind me, more often than I remind them now. Where did time go? Still, I'm glad to have spent a big fraction of their toddler years with them, staying home by them and being there for them almost all the time. I'm starting to vision some wings on them. It's also time now to focus on tidying the home from the chaotic homeschooling days. The timeless classic fairy tale of Goldilocks and the Three bears not unheard of. My man never fails relate this golden haired girl as rude whenever he narrates the story to the kids. The girl who doesn't seek approval before fiddling with the belonging of others and messes up someone's home terribly. Are you refreshed? It's a tale of Goldilocks who wandered far from home and stumbled upon the house of the three bears. First sitting in all of their chairs and tasting all of their porridge, then lying in all of their beds before finding one most comfortable. And of course, the three bears came back to their home with these horrific finds. Coming to stage live is the play of this story, in the mandarin version - 金发姑娘和三只熊. Yes, mandarin! Some months ago, we watched a mandarin production of SRT (Singapore Repertory Theatre), and I highly recommend it! 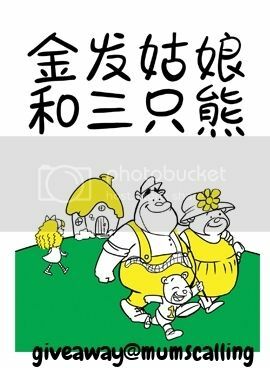 It's choice of words, narration and songs are of perfect conversational mandarin and the story is played through an extremely hilarious style. Other than books and lessons, I love exposing the kids to Mandarin through live shows like these. There's always some effective learning out of it. 1. An opportunity to learn Mandarin through listening and watching theatre play. 2. Get captivated by the mandarin music and lyrics of the show. 3. Most families don't speak mandarin home. This is one good exposure. 4. Good mandarin shows don't come by oftten, considering English as our common local language. 5. Like any of their productions, I'm confident of their storyline, props and vibrant stage setting. So don't miss out this fun opportunity with the casts, as they bring us through a Mandarin journey of this beary wonderful fairy tale! Get your tickets from sistic. Or if you plan to catch the upcoming shows by SRT, you may get the season pass for a more valued deal of 20% discount. 3. Leave your email address on this Facebook post and tag a friend or more whom you think will love this theatre play! Thank you everyone for your participation! A final keeper had been picked with random.org. Congrats Hui Ming!